I think simplicity is key when it comes to delicious food. As I mentioned in a previous bok choy post, I am pretty addicted to the flavor. However, I’ve had my eye on the Gardein Beefless Tips for a while now. I’ve tried a few of their other products, including the pulled “pork” shreds (which are really great on a wheat bun). Anything barbecue is heavenly to me. Hell, anything that is food and tastes good is heavenly to me! Heat oil on a medium saucepan or skillet. Add garlic and beefless tips and let the garlic start to become fragrant. Cook until the beefless tips begin to thaw and start to slightly brown. Add the bok choy and sprinkle on black pepper and ginger. Stir to coat. 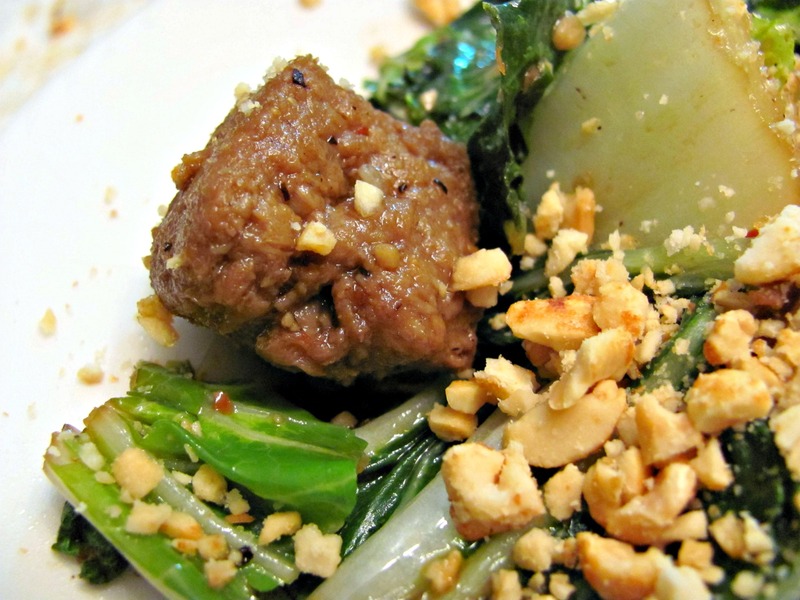 Let the bok choy become wilted and add the soy sauce, and stir to coat. 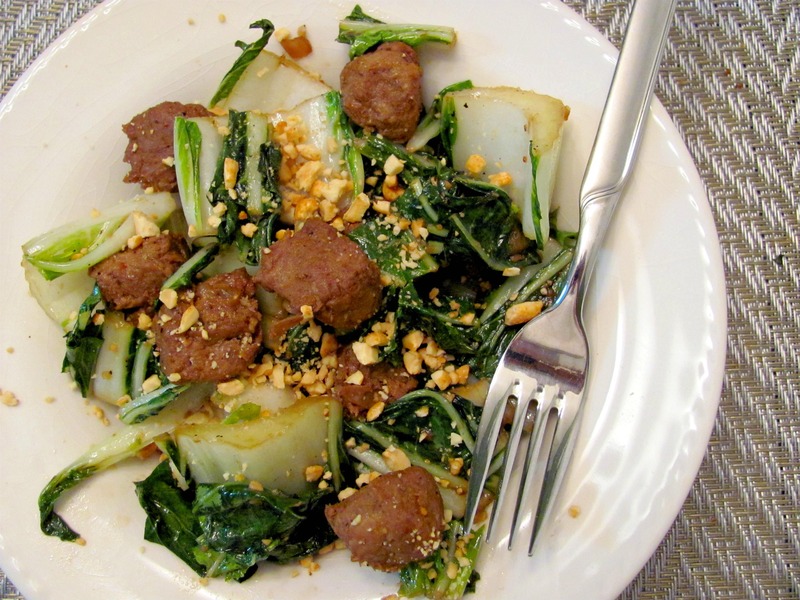 As soon as the bok choy is fully wilted and the beefless tips are cooked thoroughly, remove from heat and serve with crushed peanuts on top. Serves 1.